Bahrain is defined by its historic relationship with water; the country’s name means ‘Two Seas’ in Arabic. The focus is not the island’s minimal landmass, but the water that laps its shores. So shallow is the water touching Bahrain’s coastline that the inhabitants regularly ‘reclaim’ pieces of land, filling in the gaps between sand bars, as if winning back lost territory. The new Bahrain Financial harbour in Manama, the capital city, is currently rising like Neptune from such reclaimed land, and its proud buildings, such as the Dual Towers, appear to be holding back the sea. The sweet water springs that bubble offshore helped bring about 4000 years of settlement, the layers of which are exposed in rich archaeological sites around the island. The springs also encouraged the most lustrous of pearls – the trade which helped build the island’s early fortunes. Like an oyster, Bahrain’s rough exterior takes some prizing open, but it is worth the effort. From the excellent National Museum in Manama and the traditional houses of Muharraq, to the extraordinary burial mounds in Sar, there are many fine sites to visit. For more modern pearls, there’s the spectacular Bahrain World Trade Centre, King Fahd Causeway and the new islands project at the southern tip. Presumably the engineers have factored in the projected effects of global warming or the sea may yet have the last laugh. The Royal Golf Club is home to Bahrain's only 18 hole championship standard golf course and to a par 3 9-hole course, both designed by course architect and golfing legend Colin Montgomerie. Slide in and splash out at the Middle East's first ever indoor-outdoor waterpark with an area of 15,000 square-metres. It's guaranteed to be the ultimate water fest with a whole new world of thrilling rides and attractions. 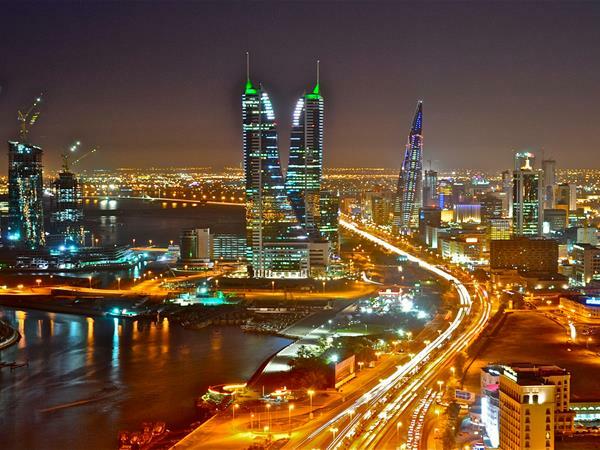 Manama, the capital of Bahrain, means ‘Sleeping Place’, but with its central atmosphere, its late-night shopping, and its lively bars and nightclubs, it’s hard to see when the city gets a chance to sleep. Manama is a night bird and people flock in on weekends for fine dining and an off-duty drink. For those who prefer an early start to a late night, however, the city is sleepy enough by day, and it’s unlikely there’ll be much of a queue for the excellent Bahrain National Museum. Seef is a suburban neighborhood in Manama. The word 'Seef' means coast or shore in the Gulf Arabic lexicon, similar to 'sahel'. Seef is the result of active land reclamation work starting in the 1980s, which has dramatically changed the Bahrain coastline. Surrounded on three sides by the sea, Seef is a new zone of reclaimed land containing luxury apartments, hotels and shopping malls.